Security operatives have successfully apprehended an official of the DSS and his gang members for kidnapping. 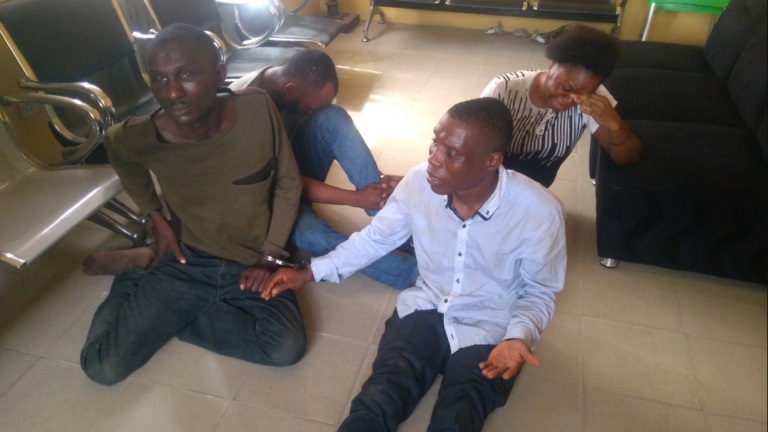 An official of the Department of State Security (DSS) and three others including a woman have been arrested by the the Cross River State Police Command. According to DailyPost, those paraded include Sylvia James F 26 years, Eyo Edet Okon M 29 years, Jason Udo, M 36 years and Eyo Bassey M 31 years who claimed to be a DSS official.